entirely to the Lancia Delta HF Integrale. Why do I drive an Integrale? Well I want to feel the kick in the back, feel each block of tread as it tries in vain to cling to the tarmac, feel the pads biting into the discs, experience the chassis writhing as the 4 wheels chatter with one another over who's going to grip the longest, get that rush as I become the organic part of a purposeful machine....ENOUGH SAID! If you can think of any topics that would be useful to other Integrale owners then drop me an E-mail. Alternatively, if you require any information, (part numbers, wiring diagrams) then just ask and I will see what I can do. If you are selling any Lancia Delta HF Integrale items (cars or parts) then E-mail me and I will gladly advertise them in the relevant section. Who knows, you just might find that buyer off this website. 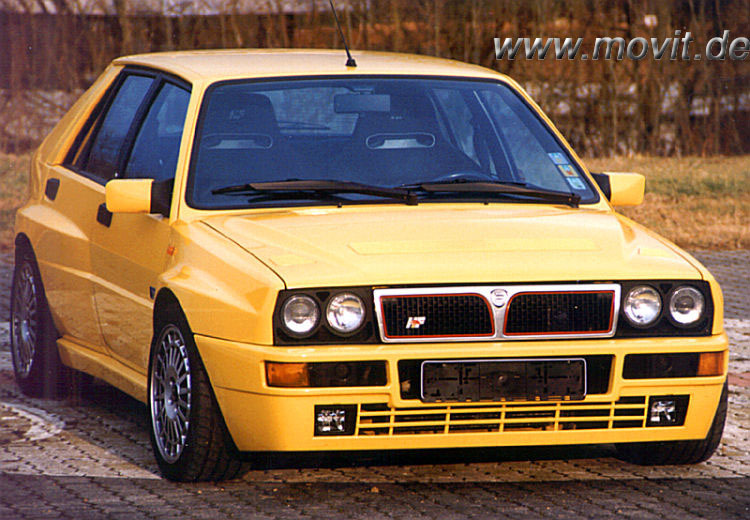 Uploaded some movies of the Integrale in action. Many thanks go out to whoever converted these.